Discussion in 'iPad Help' started by Kenworth, Mar 8, 2018. “Breakfast at the diner, 9am, other attendees are. Accept/decline”. It goes to the calander as an invitation. How do I “break” that e-mail to calendar connection to stop these calendar notices?? I’m not certain, but turning off this might help. Settings > Calendar > Siri & Search > Find Events in Other Apps. There used to be some specific settings about calendar/mail invites, but I can’t seem to find them. 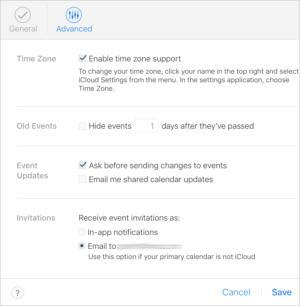 A quick read of the iPad User Guide only talks about how to manage invitations in the Calendar app. There is no mention of how to block them. Apparently they are considered a feature of Microsoft Exchange and some CalDAV accounts. An invite is a specific kind of email, not to be confused with the event auto-detect feature of Mail which highlights dates and times to make quick calendar entry possible. It also highlights things like phone numbers, locations, and email addresses for quick access to the related apps. It’s been a while since I did this for security reasons, but here is how you get invitations to go to your Mail App rather than your Calendar. I’ll give them a try and hope for the best.